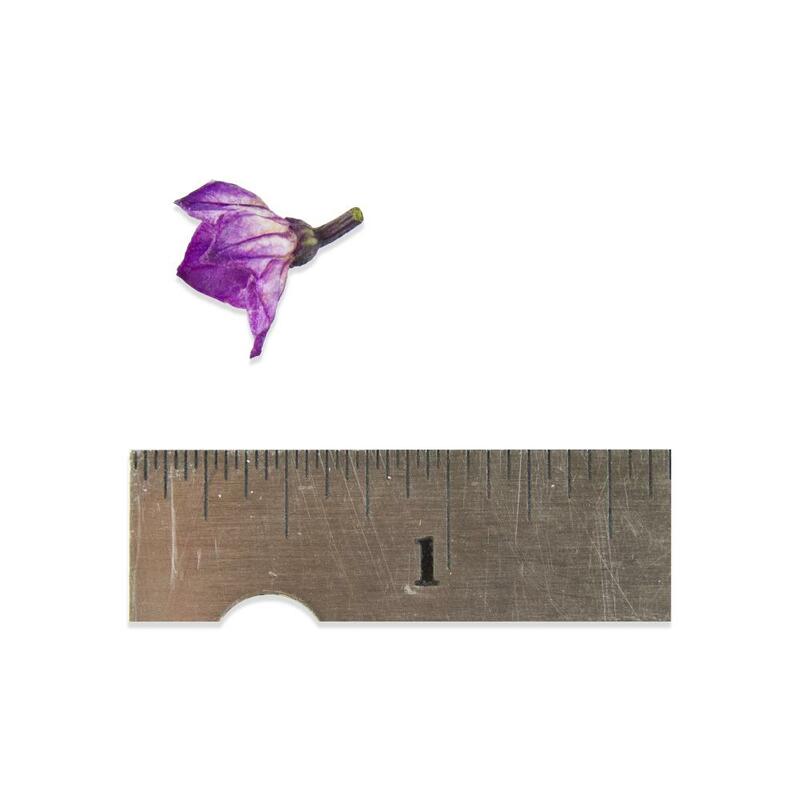 Micro Pepper Flower Purple™ is a tiny edible flower variety with petals that are purple on top and white with purple flecks on the bottom. Micro Pepper Flower Purple™ flowers have a strong flavor that is herbaceous and bell-pepper-esque. They work well as an ingredient in salads or garnish for savory dishes. They tend to average roughly ½” across. 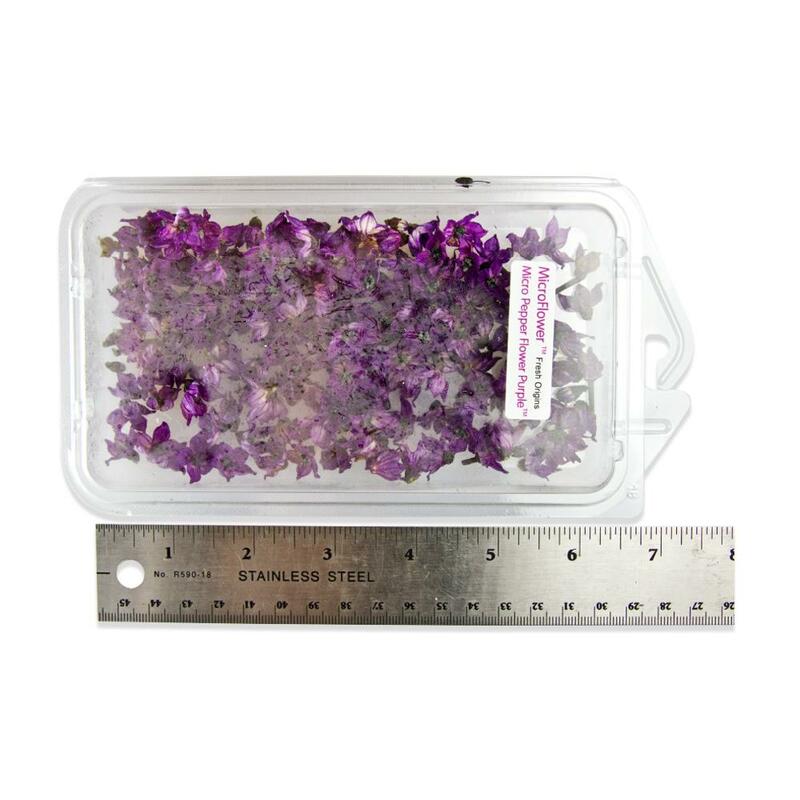 Store Micro Pepper Flower Purple™ in their plastic clamshell in your refrigerator. 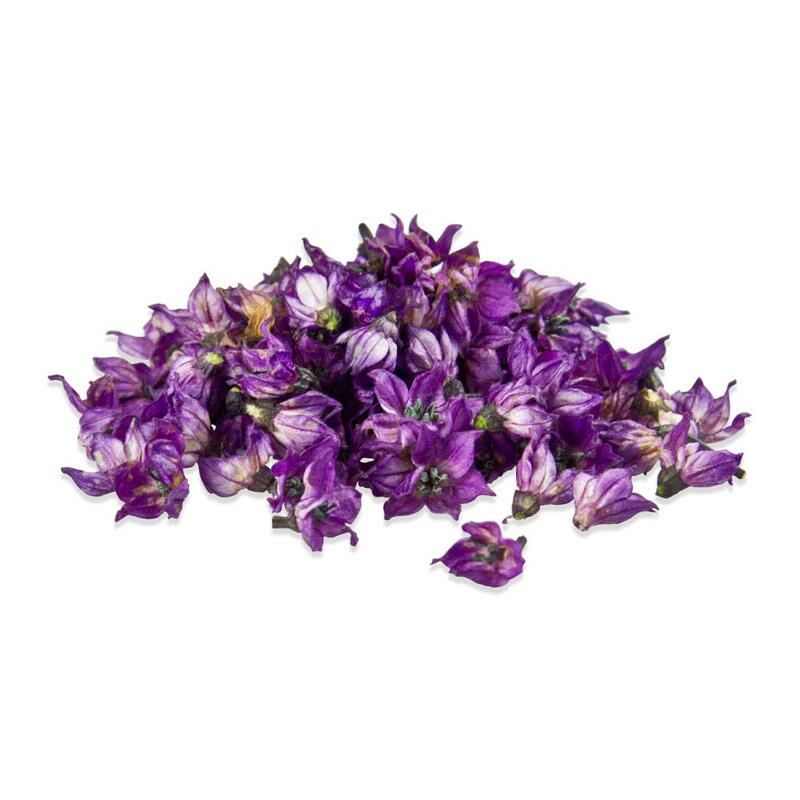 Micro Pepper Flower Purple™ can be used as an edible garnish or salad ingredient in dishes where their strong flavor works well with other ingredients. Because their flavor is rather strong, they’re best used in small quantities and are likely not appropriate for sweet dishes.